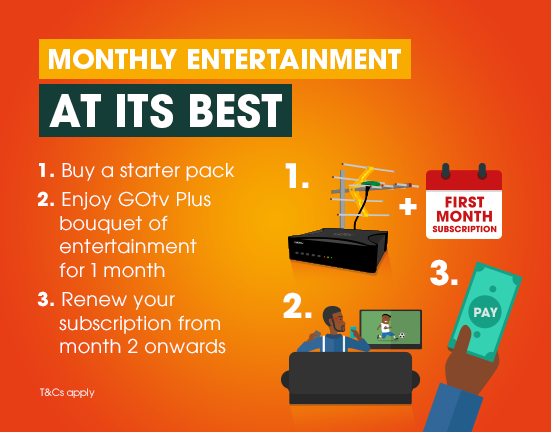 The easy way to manage your GOtv subscription online. Avoid the long queues and get Eazy self-service at your fingertips. You can easily clear error codes, locate an installer near you, find answers to frequently asked questions, learn more about your decoder, what packages are on offer and so much more. 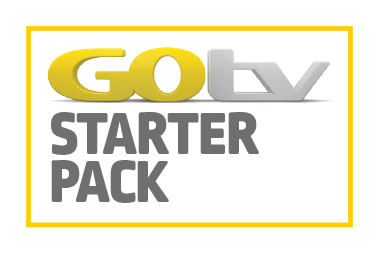 With the GOtv starter kit, you'll get a decoder and a two-month GOtv Plus subscription and you're good to go. HOW DO I INSTALL GOtv? Get 54 world-class channels for you and your whole family.